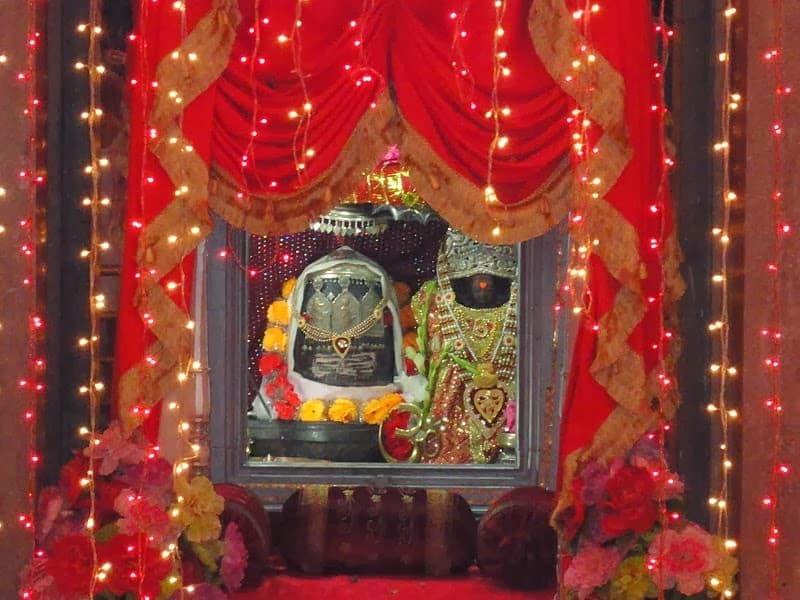 These shrines represent a dream of Dr. Pidara’s from his childhood growing up in the small town of Raya, District Mathura, U.P. India, between 1939 and 1946; There is a small Mahadeva temple behind the houses of eight landowners of that town; He used to spend lot of his time alone in and around that shrine and also in the Gopali temple; Later, the family moved to the city of Mathura; Swatantra Kumar Pidara finally moved to the USA in 1968; In; 1977 March, he began to perform pujas, kathas and sanskaras to help the Hindu community. ; No charge was made for these services, but any contributions were kept separately and dedicated towards his dream. He was guided and encouraged in this endeavor by Swami Nisreyasananda of Ramakrishna Mission from South Africa and Rhodesia. This continued until Swami’s death in 1991. Swami actually visited the site on Oct.20, 1990. In 1982, Dr. Pidara looked for a small piece of land for the future shrine, and found 3.2 acres of; land near Collegeville. Tom Scheetz, the building inspector, and Mr. Arthur King, the chairman of the Zoning Board gave him proper guidance and helped when needed. Urged by Shri K.C.Tewari, a devotee of Baba Neem Karoli and his own childhood mathematics teacher, Dr. Pidara purchased the land for $12000 from Mr. Charles Fridy in May 1984. The money had been received without solicitations from 300 pujas between the years 1976-1984.The first contribution actually came from a Jewish coworker Laurie Levy who took Dr. Pidara to the land in those early days. The Trust acquired the non-profit corporation status in July 1982 in the state of Pennsylvania with the help of Arnold and Janet Falk. Two Armenian ladies Ruth and Esther gave $3000 for the Trust. Zoning variance was received in April 1983. Attorney Roger Ashodian with the help from IRS agent Sylvia Pratt obtained the 501C (3) exempt status in 1984. Montgomery County granted the tax-exempt status in Nov. 1997. In March 2000, the Trust was granted the Church status by the IRS. Mr. Faquir C. Mittal, Jyoti Ratnaparakhi, B.R.Shukla, Ira Mishra, Anil Wali, Jaipal Rathi and Anant Shah ably served the Trust as the officers and the members of the Trust during their years of active participation. The first puja on the open site took place on 18August 1984. 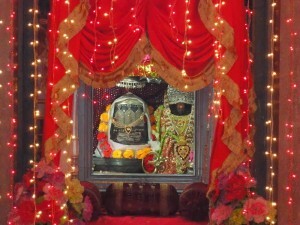 The next puja took place on 21s1 Oct. 1984. In March 5, 1985, it was decided to hold a puja every month from May to Oct.&nbsp;&nbsp; Hinduism classes were held at the house of Viswanath Pillai for three years. The first Newsletter was printed on 3rd June 1982 and since that day about 4 or 5 Newsletters were published every year containing material on religion, morals, ethics, history, myths, songs, ceremonies and cultural outlooks of the Hindus. On July 31, 1987 a well known saint and swami, Shri Swanandashrama Ji of Bolpur visited the site and conducted a puja. On 23rd March 1993 at the behest of Shri K.C.Tewariji, Avinash and Maiini Mude took the 10 inches tall image of Durga in snow and conducted the installation puja. On account of severe snow and absence of the octagonal shrine, the image was brought back and the worship was carried out every day till its final installation. The image was inaugurated after the Devi’s installation on Akshaya Tritiya day on 25th April 1993. Two littlegirls, Richa Mishra and Hanna Mude performed the puja under the guidance of the priest Dr. Pidara. About 59 people attended the bhandam. 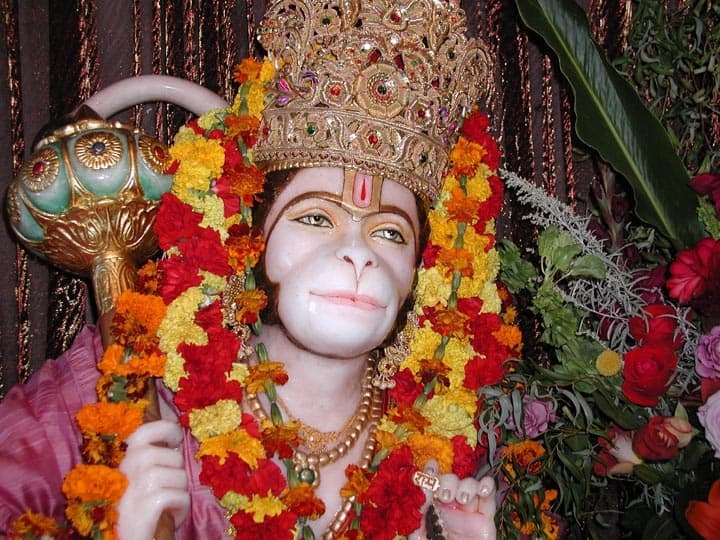 Dr. Pidara had already carved the Hanuman image during this period, which was installed and inaugurated on Vijayadashami day on 24th October 1993. 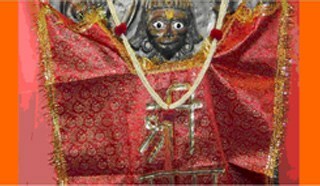 (The Hanumanji Murti was carved by hand in clay by Dr. Pidara, and then later cast in Bronze.) Lakshmi and Vishu Pillai, Savita and Girish Hatwal, Manorama and Dinesh Tewari, Kamana and santosh Katiyar, Alka Arun Agrawal, Ranjana &amp; Indresh Shrivastava, Lakshmi Parth Khattri, Chandani ; Shashi Dani, Ira Om Prakash Mishra and Borkar and Mukhopadhyaya families offered lots of ahutis in the havan. 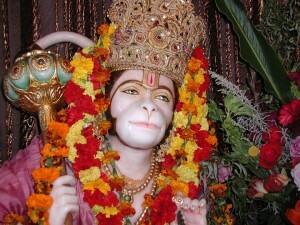 In July 1999, the Hanuman shrine was built with Kalyan Som as the architect and Ron Rinker as the builder and they dida good job. Swami Sathyananda Sarswathi of Ram Das Ashram, Trivindram conducted a puja and blessed everybody’s efforts on 2nd September 2000.&nbsp; About six to eight pujas are carried out every year marking 25th April as the Inauguration day, Guru Purnima in honour of Swami Paramananda Maharaj of Rewari, Anant Chaturdashi day in honour of Baba Neem Karoli Maharaj, Vijayadashami day in honour of Shirdi Sain, Deepavali, and the 23rd November as the birthday of Sathyasain Maharaj.The plans have always been for developing the place into a University and a hermitage. During all these years, lots of people have been served by way of grants for their education and relief in their hard times. Dr. Pidara told the Zoning Board that the money will not be raised by usual tactics and will come selflessly by people seeking prayers, or through ceremonies without any solicitation, or trustees selflessly helping people in their sickness etc.